Yokogawa Electric Corporation announces that its subsidiary, Yokogawa India, has received an order from the Gas Transmission Company Limited (GTCL) to supply a monitoring and control system for the gas pipeline system in Bangladesh. This project will involve the revamping, modernization, and expansion of GTCL's existing supervisory control and data acquisition (SCADA) system. GTCL owns and operates a network of pipelines for the nationwide transmission of gas from gas fields that are primarily concentrated in the eastern part of the country. 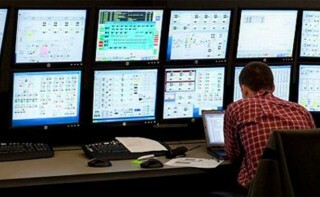 GTCL is planning to build an integrated SCADA monitoring and control system that will ensure the stable and efficient supply of gas to three of the country's eight administrative divisions: Dhaka, Chittagong, and Sylhet. GTCL plans to increase its gas transmission volume to 550 million standard cubic feet per day (MMscfd), up from 400 MMscfd in 2013. This order is for FAST/TOOLS SCADA software and a STARDOM™ network-based control system for pipeline monitoring, DPharp EJA and DPharp EJX series differential pressure/pressure transmitters, other field instruments, a closed-circuit television (CCTV) system, and a telecommunications system for central monitoring and control. Targeting delivery within 22 months, Yokogawa India will be responsible for the engineering, installation, and commissioning of these systems. The winning of this control system order can be attributed to Yokogawa's ability to come up with a customized proposal for an automation solution and its extensive experience in supplying SCADA systems for oil & gas pipeline projects in India. Tsutomu Murata, managing director of Yokogawa India, commented "I am honored to receive this order, which is Yokogawa India's largest project to date in Bangladesh. By carrying out this large project, we aim to help ensure a stable energy supply for the people of Bangladesh." In accordance with its Transformation 2017 mid-term business plan, Yokogawa is strengthening its efforts to drive up sales by providing solutions for pipelines and other oil & gas midstream applications. Encouraged by its success in winning this order, Yokogawa plans to expand its control business in the midstream applications segment.